Today was awesome!! 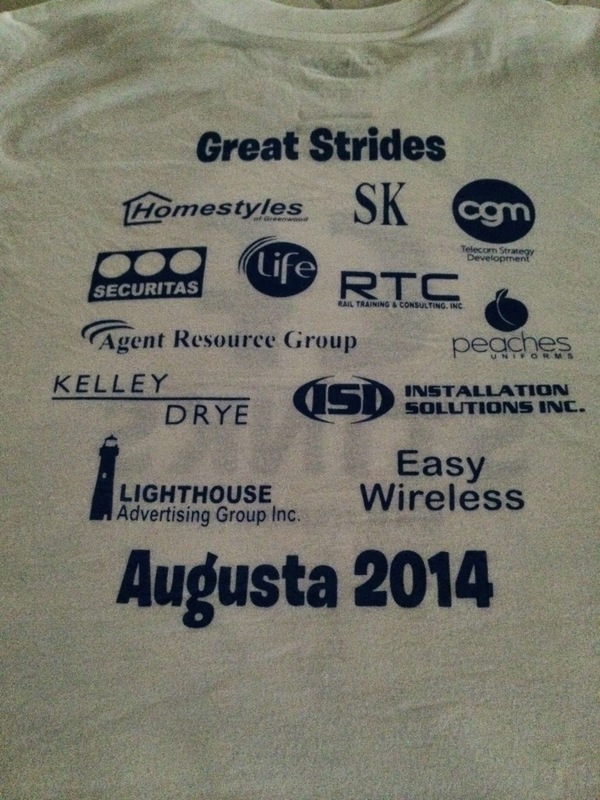 It was absolutely beautiful outside - we could not have asked for a better day to have the Great Strides walk. As always, I was surrounded by my amazing family and friends. Eating popcorn & walking! Couldn't resist! Yep - still eating popcorn! After the walk, the group came over to our house for a cookout and to have some fun! This kid cracks me up!! I had a few friends that couldn't make the walk this year, and let me just show you how AMAZING they are!! 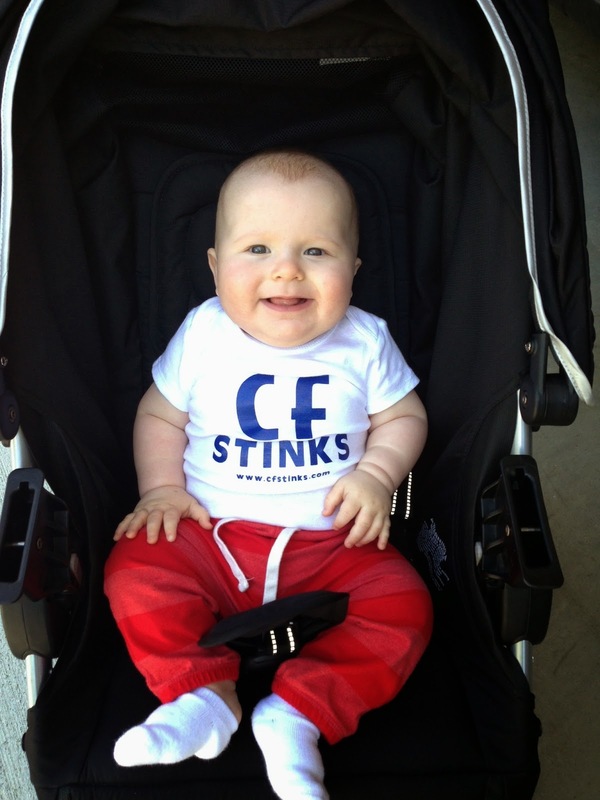 Whitney, Nolan & Bryan wearing their CF Stinks shirts in Tennessee!! 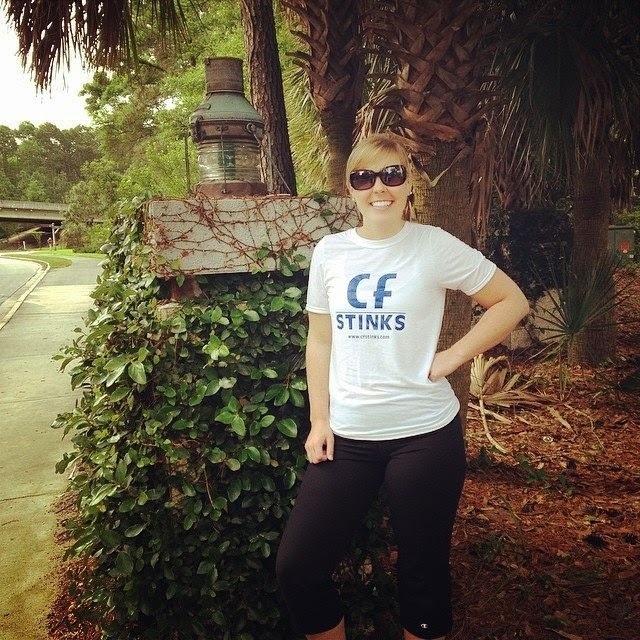 Jessica representing at the beach!! As I said, it was an amazing day. My cup runneth over. There is nothing like being surrounded by those you love. Wow! Amazing fundraising. Any tips? I am barely over $1000.00! Thanks! I was so happy to reach $10,000 again this year. I have a lot of luck with businesses donating. They need the tax write-off :) Once I get a donor, they usually continue helping each year. So its important to build a base, but still try to reach new ones.